This week we celebrated our 200th episode. Once you start something, you never know where it will go -- could be a short-lived project or something more. Martin keeps finding the latter. 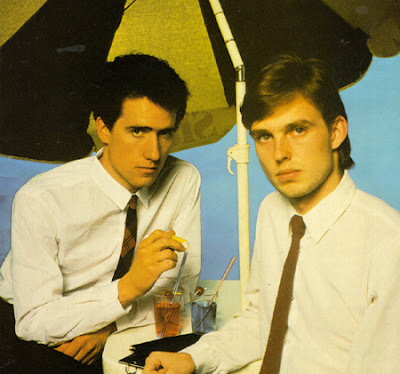 To top off a milestone, he turned to Andy McCluskey of Orchestral Manoeuvres In The Dark (or OMD.) The group have reunited and released a new album, History Of Modern, and at this time they are touring Germany. Andy lays it all out for us from their history, present and future while giving a few choice tidbits about how "If You Leave" almost never happened. We play our retrospective mix, "Of All The Things We've Made," a live version of "Enola Gay" and the new song "New Holy Ground." We'll keep it short this week but we'd like to thank you for going with us on this journey. 200 weeks of recordings and, oddly enough, some people have heard them all. Special thanks go out to Mich, Steve and Johnny for being our backbone in the chat room. You just can't surround yourself with enough good people.